JayR and Mica Javier reveal why they decided to schedule their big day for 2020. 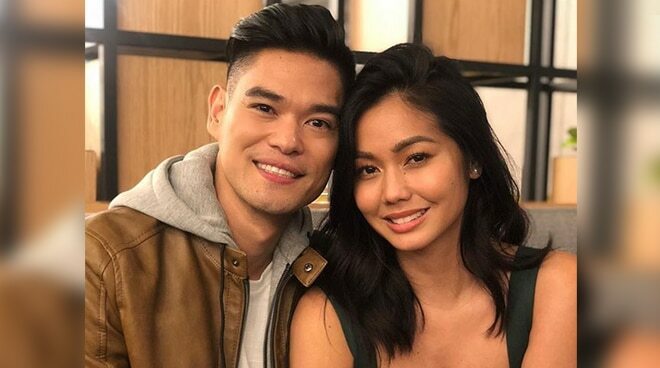 After five years of dating, singer JayR and Los Bastardos actress Mica Javier finally got engaged last October and the two couldn’t be any happier. “I don’t know. it feels like we’re on cloud nine. It feels more fun to be together kasi may security na hindi na-feel dati. Hindi naman sa hindi ko na-feel dati pero it’s more tangible now, the security of being together as a couple. So it makes us just have more fun. Like it’s more fun and relaxed,” she said. JayR admitted he feels the same way about his fiancée. “Ako kilig na kilig. As in everyday when I wake up, I have a smile on my face because I’m just very happy lang. You know life is good,” he added. Although the couple said they will not allow planning for their wedding to put pressure on themselves, they already have some idea of how they want their wedding to take place in the year 2020. “We’re very simple so most likely the wedding is going to be very simple lang, small, intimate, and definitely not next year. Kasi her brother is getting married. We want to be in nature for sure. Not sure yet kung sa beach or mountain or vineyard or outer space, or whatever (laughs). So maybe in 2020 pa,” he shared. Mica says they want their big day to be true to their personality as a couple. “No pressure on us right now because I think we’re the chillest couple ever (laughs). Basta we want our wedding to have something that has to do with nature because me and JayR mahilig kami sa adventure. It’s part of our personalities to be one with nature,” she explained.